The Five-Star Spa at Mandarin Oriental, Boston will reintroduce its bespoke ‘Runners’ Revive’ treatment for the month of April in celebration of the 117th Boston Marathon and Mandarin Oriental, Boston’s prime location along the finish line. InterContinental Hotels Group (IHG), the world’s largest hotel group by number of rooms, today announced that it has signed an agreement with the Oman Tourism Development Company SAOC (Omran) to open Crowne Plaza Oman Convention and Exhibition Centre, Muscat. Oman Air is celebrating its participation this year in an extraordinarily successful ITB Berlin. Take time and make the ultimate urban escape from the daily demands with the rejuvenating Spa Ritual package at Mandarin Oriental, Singapore. South African Airways (SAA) has announced three product enhancements that are set to delight customers flying on the award-winning South African national flag carrier. Recent findings released by Hotels.com® today reveal a huge disparity in paid and public holiday entitlements across the globe. Under the ordinance of H.E. Ambassador Michelangelo Pipan, Ambassador of Italy to Thailand, the President of the Republic of Italy. 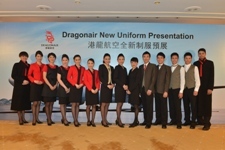 Dragonair today announced the rollout of the airline’s new uniform to more than 3,000 customer-facing staff across its network, effective from 28 March 2013. Alaska Airlines launches nonstop flights today between San Diego and Boston—the sixth new city the carrier has begun serving from San Diego in the past year. 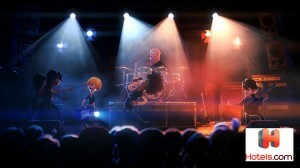 Hotels.com® is getting amped for a Twitter sweepstakes in the U.S. and Canada from Monday, March 25 through Friday March 29, 2013 in celebration of the new Hotels.com TV advertisement featuring animated rock stars. Tomorrow US Airways will begin daily, non-stop service between its largest hub in Charlotte, N.C. and London's preferred business airport, Heathrow. Following the successful test and roll-out of a new single email inbox for hosted buyers at IMEX America last year, the IMEX Group is introducing the same concept for all hosted buyers at IMEX in Frankfurt 21- 23rd May 2013. The organizers of the legendary exhibition PAP-FOR invite you to participate in a new project: Forum PAP-FOR: Sustainability and Efficiency of Pulp and Paper business of Russia. Mandarin Oriental, Washington D.C. is pleased to announce the addition of The Jefferson Suite to its list of luxurious signature suites. Mandarin Oriental, Guangzhou today celebrated its official debut with a champagne lunch reception for over two hundred VIP guests, to unveil the hotel’s signature fan, which has been designed by world respected fashion designer, Vivienne Tam. China Coast Pub + Restaurant is launching its new sharing platter for parties of four or above. It’s truly American flavor and the portion is of course huge! It is a combination of meat, chicken, seafood and veggie completed with a dessert item from our cake counter. Chef Adee Affende and his brigade are spicing it up this April as the signature restaurant Ikan-Ikan at Four Seasons Resort Langkawi presents a spicy and sumptuous spread of Malaysian curries. This summer, put down the Wii and disconnect from Facebook. Instead, reconnect with the family for an unforgettable learning adventure on the private island of Lanai. The Indianapolis Airport Authority (“IAA”) congratulates General Counsel Joseph R. Heerens on his unanimous reelection as chairman of the State Employees’ Appeals Commission (“SEAC”). Back by popular demand, the Friday Night Fever rate is now available during the month of April at Four Seasons Hotel Westlake Village, California. 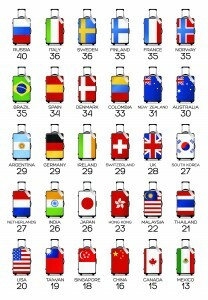 Vietnam greeted more than 587,000 foreign tourists in March 2013, a 1.6 percent rise from the same month last year. This figure brought the total number of foreign tourists to the country so far this year to more than 1.8 million, a year-on-year reduction of 6.2 percent, according to the General Statistics Office. This summer, guests can immerse themselves in Wyoming’s expansive sky, rushing rivers and grand beauty while riding alongside the Teton mountain range on an exclusive Fitzgerald's Bicycles tour with Four Seasons Resort Jackson Hole. TripAdvisor®, the world's largest travel site*, today announced its inaugural TripIndex™ Room Service. The three week long “Mega Tourism Road Show in Russia & Ukraine” commenced its first phase on 17 March in the historical city of Saint Petersburg, Russia. Sri Lankan President Mahinda Rajapaksa declared open the Mattala Rajapaksa International Airport in Hambantota, by arriving onboard the Sri Lankan airlines special flight “City of Magam Ruhunu Pura” as the first passenger, at 10.54 am on March 18. The Leading hospitality technology company, released this week’s Hotel Pricing Trends and Hotel Rate Parity report. Access channels to three cruise harbors in Indonesia will be dredged this year to meet international demand from large cruise ship companies, said Rizki Handayani Mustafa, Director for MICE and Special Interest Promotion at the Ministry for Tourism and Creative Economy recently. The 2013 Melbourne International Flower and Garden Show is officially underway with as it was launched at the renowned event at Melbourne’s magnificent Carlton Gardens on March 20 morning. Root, root, root for the home team Opening Day of the regular baseball season as Four Seasons Hotel Chicago will celebrate either a Cubs or White Sox victory on April 1 with half off the signature homemade hot dog at Allium. TownePlace Suites by Marriott once again joined forces with Kellogg’s® to help donate one million breakfasts to children in need across the country for the third annual Share Breakfast program. The first WTM Vision Conference – São Paulo has an industry-leading line up to give senior industry delegates the information, insight and opinion to run their businesses. Record air service growth continues with two new international routes, more benefits for Dallas/Fort Worth community Dallas/Fort Worth International Airport has reached a major milestone by reaching 200 nonstop destinations, with the announcements of new service by American Eagle to Hermosillo and Zacatecas, Mexico. The U.S. hotel industry reported increases in the three key performance metrics during the week of 3-9 March 2013, according to data from STR. IHG® (InterContinental Hotels Group), one of the world’s largest hotel companies, announces the opening of the new Holiday Inn Express® Romulus/Detroit Metro Airport. Youth travellers from the long-haul markets of the US, Canada, UK and Continental Europe are being enticed to travel to New Zealand with Tourism New Zealand's latest youth campaign - Epic Experiences - showing them 'there really is too much to miss'. The highly popular Taste of Travel Theatre will return this year to World Travel Catering & Onboard Services Expo. The Global Business Travel Association (GBTA) – the voice of the global business travel industry – today announced four new appointments to the GBTA Foundation Board of Trustees. Travel industry leaders will issue a rallying call for politicians and government policy makers around the world to start “Embracing the Complete Visitor Economy” at the PATA Annual Summit. Four Seasons Hotel Las Vegas continues its quest to raise money for cancer research in southern Nevada by joining forces with the American Cancer Society to support the organization’s 2013 Relay for Life of South Valley event. Boeing has rolled out the first Next-Generation 737 built at the new production rate of 38 airplanes a month. Panamanian customer Copa Airlines will take delivery of the 737-800 in early April. Starwood Hotels & Resorts Worldwide, Inc.® (NYSE:HOT) today announced that its leading-edge Aloft brand has debuted in Cupertino, California. Bangkok – Thai Airways International Public Company Limited (THAI) clarifies tire-replacement on runway for flight TG 314 from Kolkata to Bangkok . United Airlines today introduced its first aircraft equipped with flat-bed seats in a revamped premium cabin, all-new interiors. Southwest Airlines (NYSE: LUV) announced today that it has successfully completed the connection between the Southwest and AirTran networks. Thai Airways International Public Company Limited (THAI) and Brussels Airlines, both Star Alliance members, today announced their intention to further develop existing cooperation. The Amtrak Board of Directors has elected Anthony R. Coscia to be its next chairman to help guide the future of America’s Railroad® and carry out initiatives to increase ridership and improve operational and financial performance. Accor’s newest hotels in Thailand, the Mercure Bangkok Siam and Ibis Bangkok Siam. Doha - The seventh World Cargo Symposium (WCS) concluded in Doha with a renewed commitment to improve air cargo competitiveness across the supply chain. A stall situation during an emergency return to the airport after separation of the no.4 engine cowlings was concluded to have caused a fatal accident involving a Boeing 707 cargo plane. The International Air Transport Association (IATA) announced the conclusion of an agreement with the Government of the United Arab Emirates (UAE) for the establishment of its Gulf Area office in Abu Dhabi, effective 1 June. This year new education formats and topics will drive value at IMEX 2013. The International Air Transport Association (IATA) filed an application with the United States Department of Transportation (DOT) for approval of Passenger Services Conference Resolution 787, which is the foundation standard for the New Distribution Capability (NDC). Being the fastest growing carrier of the world, Turkish Airlines has become one of the biggest airline companies in aviation industry. Taking place with the support of the City of Kyoto and The Japan Tourism Agency, the launch edition of International Luxury Travel Market (ILTM) Japan – the first country specific event in the ILTM global portfolio - facilitated over 2,500 business meetings when it took place over the last three days in Kyoto. Lufthansa passengers from Hong Kong can now book flights with the new Boeing 747-8. The Metropolitan Phoenix chapter of Women in Transportation named Union Pacific's Zoe Richmond Woman of the Year at its recent meeting in Phoenix, Ariz.
- Eurostar, the high speed rail service between the UK and mainland Europe, is launching a smarter, simpler and faster eurostar.com from 19 March 2013. Following the shift of its international operations to the state of the art new integrated terminal building T2 at Netaji Subhash Chandra Bose International Airport (NSCBI) Kolkata, Jet Airways, India’s premier international airline, will commence its domestic flights also from the new terminal with effect from tomorrow, March 15. With a common goal to create a favorable framework in the aviation market of Athens and further enhance passenger traffic, AIA and Aegean, A Star Alliance member, presented their initiatives for the summer season 2013. Boeing today issued the following statement regarding recently announced changes to the U.S. The Sydney Carnival is a key event on Sydney's major events calendar and will attract tens of thousands of racegoers from throughout NSW, interstate and abroad over six action-packed weekends.